Minato Namikaze (波風ミナト, Namikaze Minato), renown as Konoha's Yellow Flash (木ノ葉の黄色い閃光, Konoha no Kiiroi Senkō; English "Yellow Flash of the Leaf"), was a shinobi who became the Fourth Hokage (四代目火影, Yondaime Hokage; Literally meaning "Fourth Fire Shadow") of Konohagakure. When Minato was in the Academy, his class-mate and future wife Kushina Uzumaki thought that he looked "flaky" and even "girly". He dreamed of being acknowledged by the Konoha villagers by becoming the Hokage, which Kushina considered to be an impossible dream for someone like him. Years later, however, when Kushina was kidnapped by Kumogakure ninja, Minato was the only one to pick up on the fact that she was leaving behind strands of her red hair to mark their path. After rescuing her, Minato explained that he had always admired her hair. No longer seeing him as "flaky", she fell in love with him. According to those who knew him personally, Minato was a very talented ninja prodigy — a rare genius that appeared only once in a generation. 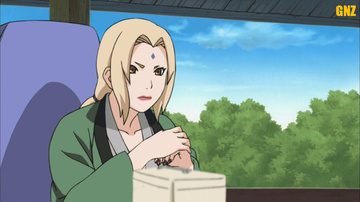 He graduated from the Academy at the age of ten, and was added to a genin team under the tutelage of Jiraiya, who took a special interest in Minato, and accepted him as an apprentice, amongst other things teaching him the Summoning Technique. He even believed Minato might be the Child of the Prophecy, someone who would someday save the world.